Get complimented for your preference by using this bean bag with fillers from Style Homez. 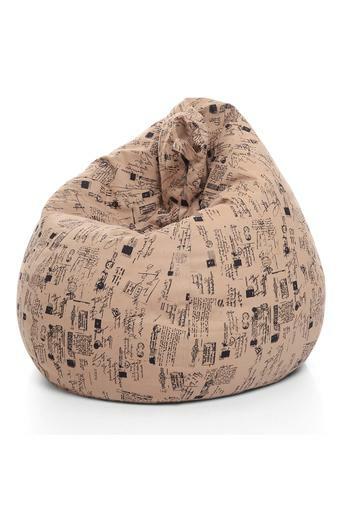 This bean bag crafted with cotton canvas material which makes it steady and comfortable at the same time. Moreover, it comes with an abstract print which will make it wonderfully elegant. Dimension - 64 X 64 X 91 cms. Make a fine addition to your homeware essentials with this bean bag with fillers.